To get a healthy boost of energy without feeling guilty, Syros introduces the Avocado Kiwi Break. 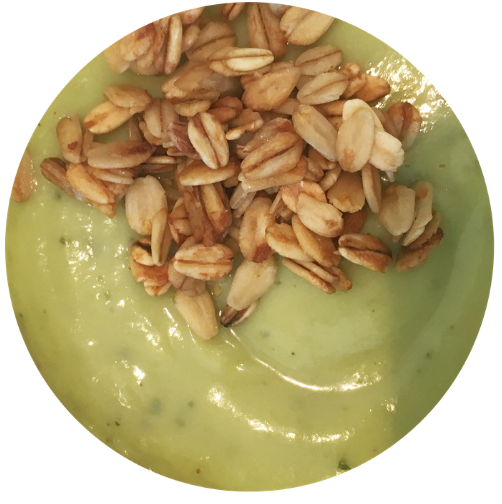 This bowl contains 41% of avocado, mixed with coconut and topped with granola. Ready to eat or with additional fruit or cereals on top it is a healthy start of the day or a lovely snack, full of fruit! That's how you get a healthy boost!